New students participate in the March Through the Arch tradition during Wildcat Welcome. Northwestern accepted 1,061 students to the class of 2020 through Early Decision on Monday night. 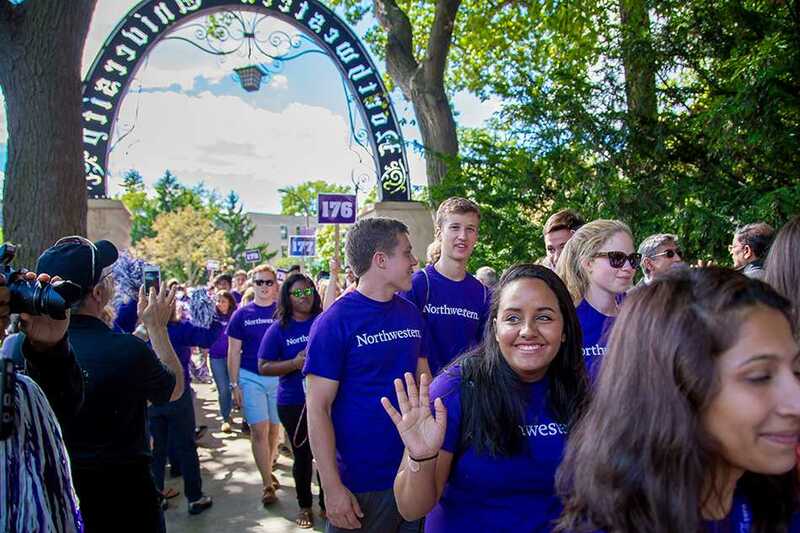 Northwestern admitted 1,061 students Monday to the class of 2020 — more than 50 percent of the class — breaking last year’s record of 49 percent for the highest percentage of Early Decision applicants to comprise a class. NU received the most Early Decision applications in University history this year with 3,022. Of the 1,061 new students admitted, 106 were international students — a nearly 25 percent increase from the number of international students admitted through Early Decision last year. Mills said this year’s Early Decision pool was significantly more diverse than that of last year. The University also accepted nearly twice as many students from Chicago Public Schools as last year. Mills said NU focused on accepting more students from underrepresented demographics. With the historic amount of Early Decision applicants accepted, Mills said he expects the Regular Decision acceptance rate to drop significantly. Regular Decision applications are due Jan. 1 and applicants are notified of their decision before April 1. Although it’s possible this year’s acceptance rate will drop into single digits, University President Morton Schapiro said earlier this month he is more focused on NU accepting the best applicants rather than the school’s admissions statistics. This story was updated at 4:30 p.m.